The Biomaterial Store offers a range of surgical drapes from dental specific surgical drapes to medical drapes. Our 3 tier range of sterile drapes and additional individual items have been specifically researched, tested and chosen by leading clinicians in the UK in order to suit all modern surgical procedures and practice needs. Our sterile drape packs have been designed to help reduce surgical site infections and fluid contamination whilst offering a sterile field during surgical procedures. Surgical dental drapes help provide efficient infection control. The design allows for quick application, enhancing patient comfort under local anaesthetic procedures. Adhesive strips help hold the barrier drapes in place adding additional security and stability to the working area. Our adjustable fastening gowns are one size with comfortable elastic cuffs meaning one size fits all. Our sterile hand towels are efficient and kind to the operator’s skin. Surface drapes and the patient drapes are 75 x90 cms. 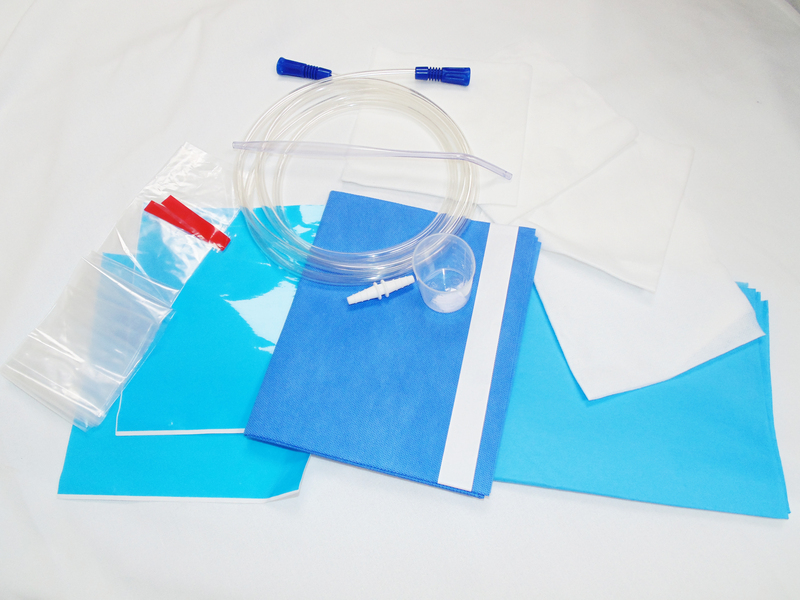 The essentials required, in one sterile pack, to create and maintain a sterile environment. To help prevent post-operative infections and patient cross contamination, designed for implant placement and oral surgery. Please note gowns and scrub hats can be purchased in addition to the essential drape pack if required and a double ended white plastic suction adapter will be supplied free of charge with this product. This is what we use in our Dentale clinics. The Yankeur suction tip and tubing that comes as standard is clear in design and is comfortable to hold. An adapter double ended tube means that the tubing will fit all chairs. For full contents of this kit click on the product. A drape pack for those practitioners, who prefer full coverage. 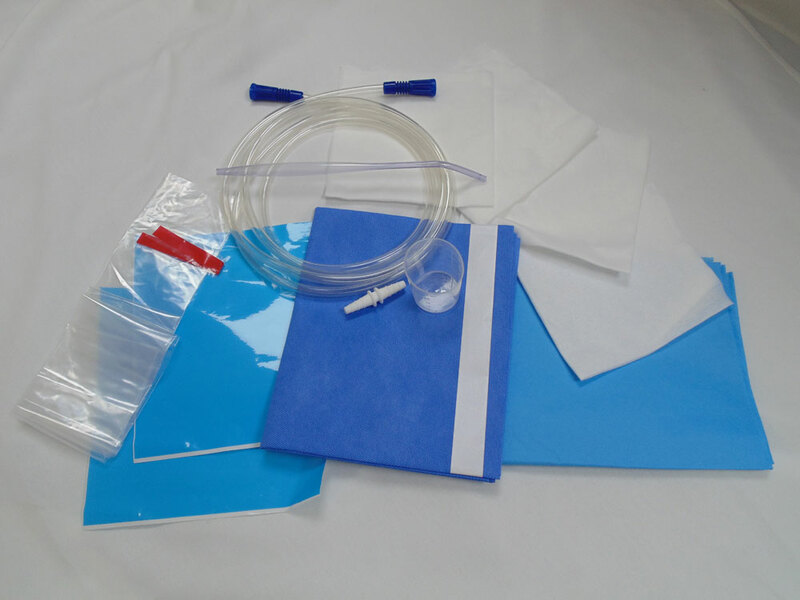 Combining the gown pack and the essential drape pack this pack also has additional items such as a U shaped drape, an equipment cover, kidney dish and contaminated surgical waste bag. We recognise that all operators have different needs. Instead of offering fully bespoke packs it is possible to order additional sterile items to compliment your purchase enabling you to suit your exact requirements in a cost effective way. An additional white surgical Yankeur tube with a smaller bore diameter than the standard can be purchased as an additional item. The standard suction sets can be purchased separately also as we recognise some customers use tandem suction units. Let the team know your usual requirements and we will pack your additional items on repeat orders, simplifying the order process. It is also possible to buy in bulk or as part of a drapes deal.